Sally Alice Davis Rauscher (Educ ’61) of Troutville, Virginia, died March 29, 2015. She was an elementary school teacher in Henrico, Alleghany and Bath counties. Ms. Rauscher enjoyed serving and caring for others and was active in many groups, such as the Boy Scouts of America, the Bath County planning commission and zoning appeals board, and the Troutville town council. She spent much of her life caring for her family, living in many places throughout the U.S. from California to Maine, and visiting Mount Rainier, Olympic and Yosemite national parks, among other sites. Ms. Rauscher loved to spend time with her family, especially her grandchildren. Survivors include her husband, a sister, two sons, a stepdaughter, a stepson, six grandchildren, three great-grandchildren and many nieces and nephews. George Venable Allen Jr. (Law ’62) of Washington, D.C., died Dec. 11, 2014. He was an environmental lawyer who served as deputy assistant administrator at the Environmental Protection Agency before joining Shaw Pittman in 1973. He retired in 2000 as a partner at Shaw Pittman Potts & Trowbridge. Mr. Allen also served on the boards of the local chapters of The Nature Conservancy and Planned Parenthood. Survivors include his wife. John G. Papageorge (Col ’62 L/M) of Fairfax Station, Virginia, died Feb. 7, 2015. He served in the U.S. Army. At the University, he was a member of Alpha Tau Omega fraternity and enjoyed taking local excursions with classmates. Mr. Papageorge pursued careers in teaching, the military and commercial real estate development. In recent years, he traveled throughout the U.S. and abroad to visit fraternity brothers, friends and family. Survivors include his wife; four children, including Christina M. Papageorge (Med ’12); a sister; and many extended family members. Memorial contributions may be made to the University of Virginia Legacy Scholarship Fund, c/o the U.Va. Fund, P.O. Box 400314, Charlottesville, VA, 22904. James B. Sommers (Col ’62, Darden ’64 L/M) of Charlotte, North Carolina, died March 6, 2015. He served in the U.S. Coast Guard. At the University, he was a member of Beta Theta Pi fraternity. Mr. Sommers was an accomplished banker who retired as president of NationsBank, later Bank of America. He served as an executive in marketing, international banking, trust, investment management and correspondent banking before joining North Carolina National Bank. At NCNB, he helped grow the company that would later become Bank of America. A creative and talented banker, he mentored many younger colleagues. Mr. Sommers was also an avid supporter of the arts who served as chairman of the annual capital campaign for Charlotte’s Arts and Science Council, served on the local public art commission and as chairman of the Mint Museum board of trustees. He was founding chairman of the Carolina Council of World Affairs, served on the board of commissioners for the Charlotte Mecklenburg Hospital, and was chairman and trustee for the Central Piedmont Community College Foundation board. Mr. Sommers was active in a number of other civic and social groups, including the Charlotte Country Club and the Springdale Hall Club. 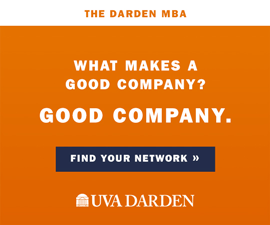 He also served on the board of U.Va.’s Darden School of Business. Nationally, he was an active member of the Bankers Association of Foreign Trade in Washington, D.C., and served as director of Nations Funds and various other organizations. Mr. Sommers was an engaging, outgoing man who loved tradition, history and his family and enjoyed hunting, fly-fishing, tennis, gardening and traveling. He often gave personalized books to friends and family for special occasions and loved organizing golf tournaments, dinners and trips for his friends and family. Survivors include his wife; two daughters, including Ruth Sommers McDonough (Col ’92 L/M); a son; and six grandchildren. John Hull Morrison III (Col ’65) of Winchester, Virginia, died Feb. 26, 2015. At the University, he was a member of the Plume & Sword literary magazine staff. Mr. Morrison owned and operated the Piccadilly Printing Co. from 1985 to 2012. In retirement, he was a community activist, serving on various committees, most recently as co-chair of the capital campaign committee for the Laurel Center, an organization that provides intervention for domestic and sexual violence. Active in many community organizations, he was a former vice chair of the Winchester Democratic Committee, a past member of the board of trustees of the Powhatan School, past president of the board of directors of the Wayside Theatre, a former member of the inner circle of the Shenandoah Summer Music Theatre, and past member of the Lord Fairfax Community College Educational Foundation. Mr. Morrison was a devoted U.Va. Cavaliers fan and an avid fly fisherman. Survivors include his wife, a daughter, a sister, his stepmother, two stepbrothers, a stepsister and many nieces and nephews. Ann Marie Lamont Patrick (Nurs ’65 L/M) of Williamsburg, Virginia, died April 5, 2015. She served in the U.S. Army Nurse Corps during the Vietnam War. Ms. Patrick retired from the Corps to raise her three children, and lived in San Diego, Los Angeles, Houston, Austin and Dallas before retiring to Williamsburg in 2001. She was a passionate gardener and talented floral designer who created arrangements for church, school and family events. She returned to nursing in her retirement and worked at the Lackey Free Clinic in Yorktown, Virginia. Ms. Patrick loved West Highland White Terriers, travel, convertible sports cars, needlepoint, movie popcorn, coral nail polish and spending time with her grandchildren. Survivors include a son; two daughters, including Maureen Patrick Epstein (Col ’99 L/M); four grandchildren and a sister. Robert Marion Todd (Educ ’65) of Richmond, Virginia, died March 18, 2015. He was a mathematics education professor at Virginia Tech from 1968 until his retirement in 1990. Before teaching at Virginia Tech, he taught at Boston University for three years. Mr. Todd enjoyed history, traveling and books of all types. Survivors include two daughters; six sons, including Daniel Todd (Col ’81); 11 grandchildren; three step-grandchildren; and three step-great-grandchildren. Lucia Johnson Vest (Educ ’66) of Fort Washington, Maryland, died March 22, 2015. She was a high school teacher who taught a variety of subjects, but especially enjoyed teaching Latin and classics. Throughout her career, she taught in McClellanville, South Carolina; Conway, South Carolina; and in Roanoke, Virginia, before settling in Prince George’s County, Maryland. Ms. Vest was a kind and gentle person who was very easy to talk to. An avid reader of “good” science fiction and mystery novels, she enjoyed challenging crossword puzzles. Ms. Vest began the Sunday crossword puzzle, her favorite one, at breakfast with her husband, and often asked for his help with the sports clues. Survivors include her husband, two sisters and many nieces, nephews and other relatives. Ernest Perry Buxton III (Med ’67 L/M) of Newport News, Virginia, died March 15, 2015. He completed postgraduate medical training at Vanderbilt University, the University of North Carolina and Duke University, and later brought the subspecialty of gastroenterology to Newport News when he established the gastrointestinal laboratory at Riverside Hospital in 1974. Along with Dr. John R. Stephens, Dr. Buxton founded Peninsula Gastroenterology (now Riverside Gastroenterology Specialists) in 1976 and practiced in Newport News until retiring in 2007. In addition to participating in a number of medical organizations, he was a member of the Warwick Rotary Club and served on the board of directors of the Peninsula Fine Arts Center. Dr. Buxton was a devoted family man who enjoyed golf, classical music (especially opera), traveling internationally and studying history and science. Survivors include his wife; three daughters, including Georgia “Saunders” Buxton Barnes (Com ’88 L/M) and Elizabeth “Lisa” Buxton Qualls (Col ’90 L/M); five grandchildren; a step-grandson; a sister; and many nieces and nephews. James L. “Gig” Gerhard (Educ ’69) of Buxton, North Carolina, died April 9, 2015. He was a coach, teacher and administrator in Woodbridge, Virginia, schools before moving to North Carolina. Mr. Gerhard was past president of the Aquia Harbour Host Lions Club and a longtime member of the Cape Hatteras Anglers Club. In his retirement, he was a driver’s education and substitute teacher and drove the activity bus for Cape Hatteras schools. Survivors include his wife, two stepchildren and three grandchildren.